into something closer to this. ...and a few odds and enemies here and there. Running into two roadblocks at the moment. 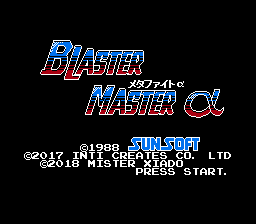 Trying to rearrange the title screen, as offset wording looks imbalanced and wrong, and trying to fit the end card for Chou Wakusei Senki Metafight into the end of Blaster Master, buuut this is not a matter of copying and pasting from the JP ROM, of course. 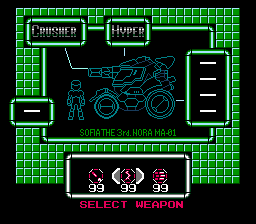 I'd like to get the hexagon from Zero onto the title screen, along with a sub title, but control codes setting the positioning and spacing of tiles on each screen are a mystery to me, and my forte is more firearms and "photoshop", not so much in the way of coding. 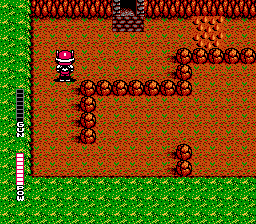 I'm considering turning Area 2 from the castle structure that it has, into the ruined residential area that Blaster Master Zero exhibits, but I'd rather pretty a few fixed things up before I go and completely overhaul an entire area of the game. 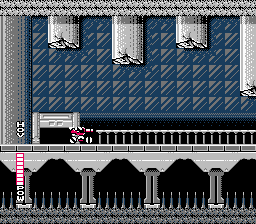 Any pointers on how to expand the usable area of static screens, or manipulate the existing free tiles? Research has been slow in the going. 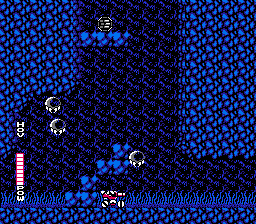 I'd rather not just edit Metafight if I can help it, even if I can just un-████ that leap of faith area in it. Is it possible to change how the prologue cutscenes look? Doable. 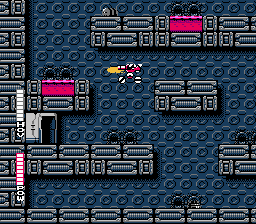 It's just background tiles and sprites, but I don't have the information on how to deal with "tiles start at X position rather than Y position" and "here's two empty rows that you can't put tiles in, because reasons". Basically, I could change what appears in the opening, but not change its size or position. This means if there's a part of the screen with a solid color, I can't just cram art into it, as the game does not assign tiles to every individual spot on the screen. In fact, few games do. All of the documentation I've found just tells me what I figured out on my own, just like the "fun" I had with Metal Gear. Incrementally changing suspected values for control codes just turns into graphic garbage or crashes the game, so that's a dead end. 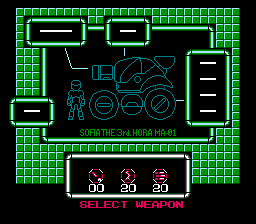 This is the progress on the first area of Area 2, but it also turns the next part completely blue. Four colors for a whole map. Lovely. 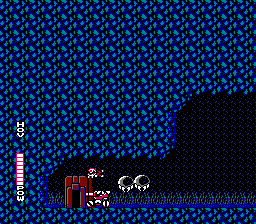 ...and aside from the title screen, this is one of the things I was trying to get some help on. Not that I ever will. I imagine that the original screen has very little space to work, I recommend that the initial design is done in a vector program, you can adjust more freely the objects that compose it and make the most of space. Then it's just a matter of reducing your color palette and correcting errors. I'm already well familiar with shoehorning fixed graphics into predefined real estate, but that is not acceptable in this case. The end screen is a coding issue more than anything else. 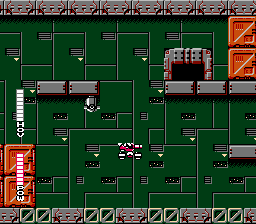 The US version of the game puts T H E on a row abode a coded blank line, and then the block that displays END, then more coded blank lines down to the Engrish text. 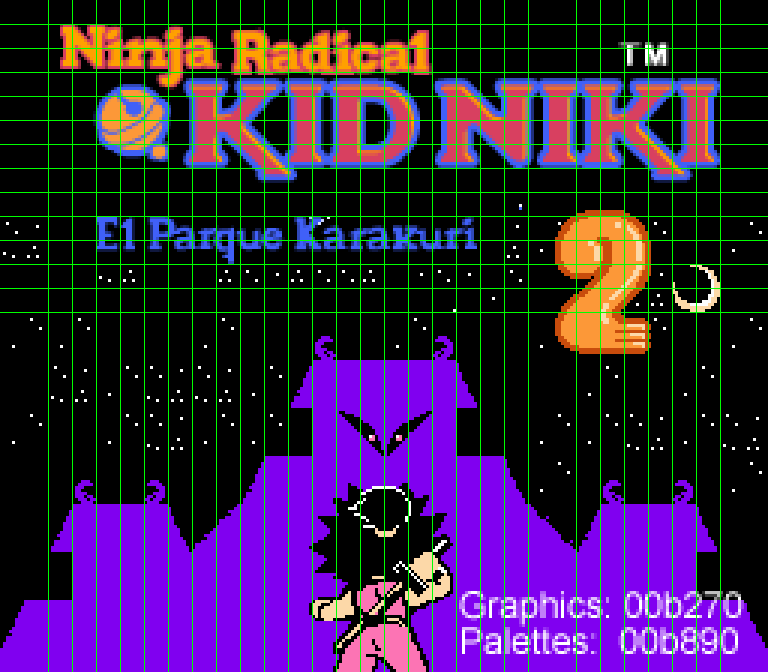 The Japanese end card has a 13x8 tile box for Kane and Jennifer's SD portraits, much larger than the space allotted to the END image in the US version, with two different palettes set. 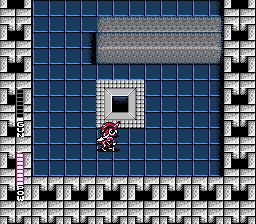 Below that, a coded blank line, then a smaller tile block for THE END. 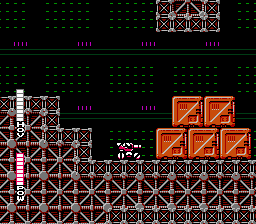 Haven't made any progress on even moving the rows that cannot have tiles manually placed in them. 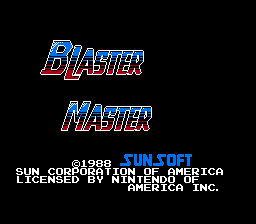 I brute-forced the title screen somehow, but my notes don't apply to the end card. Anyway, here's a little progress. The limitations in what can be changed are becoming burdensome. Edit: A few updated images. More drastic changes will take some serious thought, as most of the tile tables have no unused tiles, making major changes to most areas' graphics will not be possible. 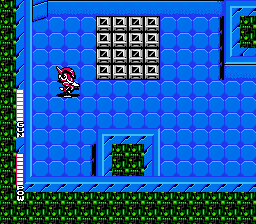 For instance, to change a staggered brick pattern to a 2x2 square pattern, it takes two free tiles, as the original only used two, and would now need four. More work done. 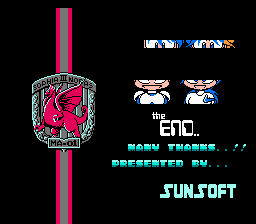 Gave up on the ending card. Not sure if I'll bother redrawing the intro cinema scenes. Lookin' good my man! 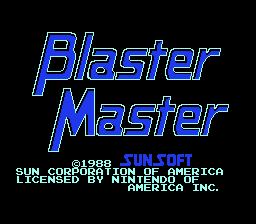 I wanna play this when it's done as I liked the original game a lot. 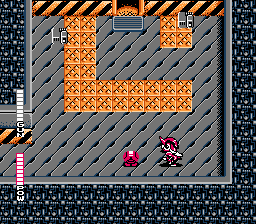 I've been expanding the maps where possible, as there is a lot of unused map space, and abandoned areas. 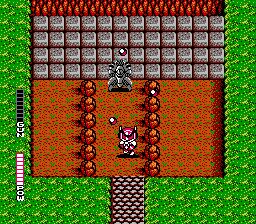 Alas, replicating most of the maps from Blaster Master Zero aren't possible due to Blaster Master's compression system. 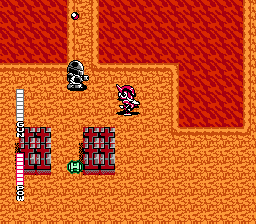 I'm not changing absolutely everything in the game, because a lot in Zero is essentially the same as it is in the original. I don't have much else left to change, as I've just been changing things on a whim here and there. Come to think of it, I should probably submit it to the site tonight. 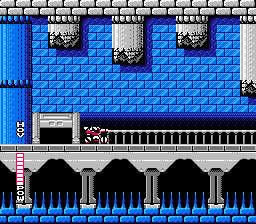 Anything else I could change dramatically could be done as a separate hack, and as far as I can tell, all of the tile errors from the original game have been fixed. This is coming along pretty good, I love the new changes. Keep up the good work. It's in the approval queue as of last night. 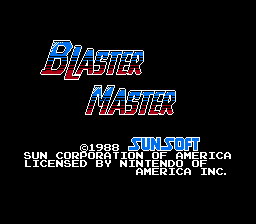 It's a shame that we never got a proper sequel to the game. Blasting Again isn't as much an abomination as "2" is, but I still don't recognize it. Ah well, can't expect much. 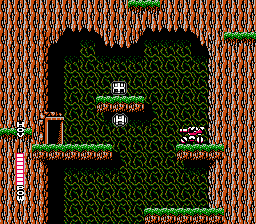 Like Metroid, it was a game that the the production team didn't know was super popular in the west until years after the fact.